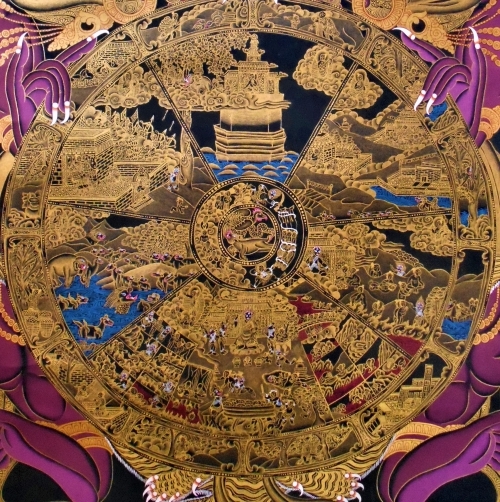 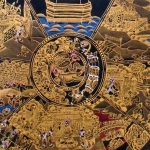 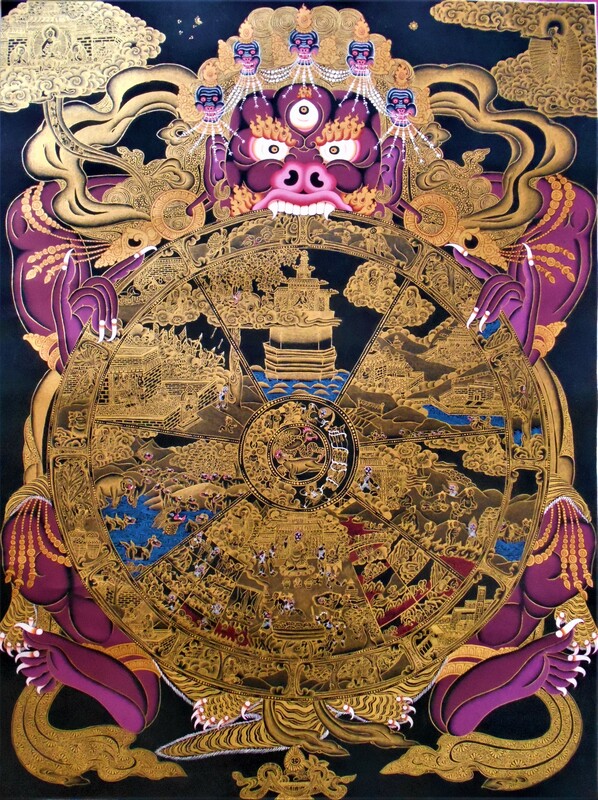 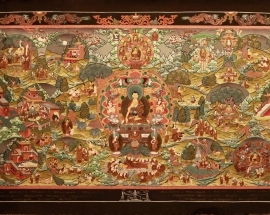 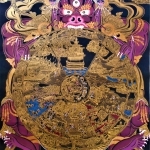 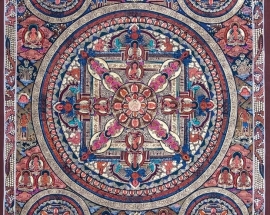 The Bhavachakra, the Wheel of Life or Wheel of Becoming, is a thangka which is a complex picture representing the Buddhist view of the universe. 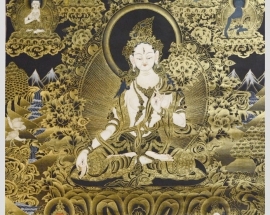 To Buddhists, existence is a cycle of life, death, rebirth, and suffering that they seek to escape altogether. 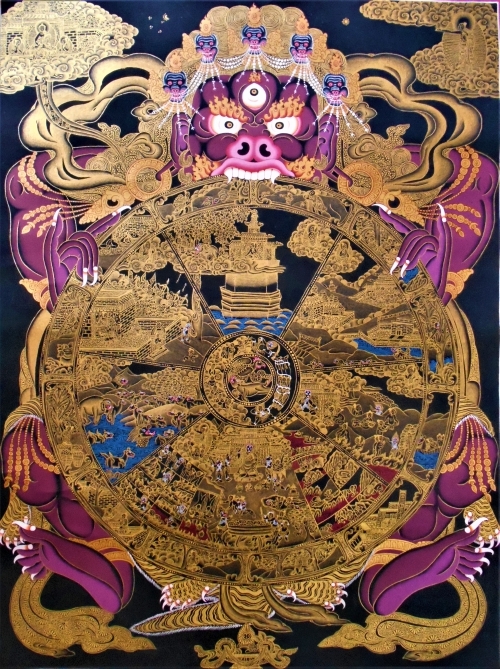 The Wheel is divided into five or six realms, or states, into which a soul can be reborn. 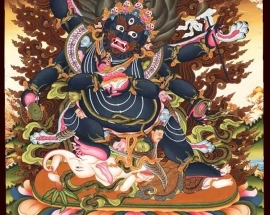 It is held by a demon. 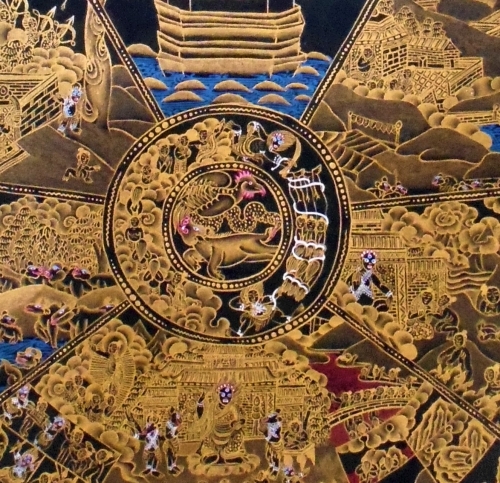 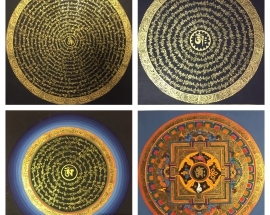 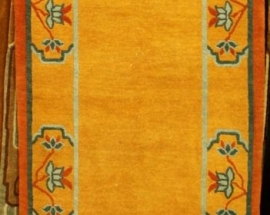 Around the rim are depicted the twelve stages of dependent origination. The rich iconography of the Wheel of Life can be interpreted on several levels. 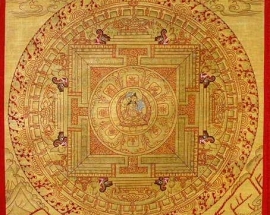 The six major sections represent the Six Realms. 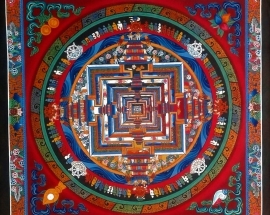 These realms can be understood as forms of existence, or states of mind, into which beings are born according to their karma. 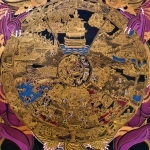 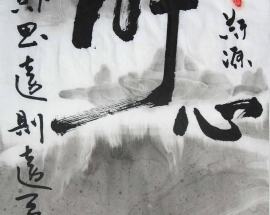 The realms also can be viewed as situations in life or even personality types—hungry ghosts are addicts; devas are privileged; hell beings have anger issues. 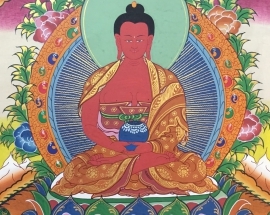 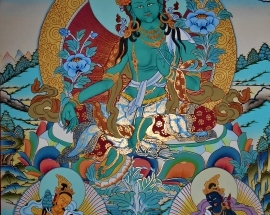 In each of the realms, the Bodhisattva Avalokiteshvara appears to show the way to liberation from the Wheel. 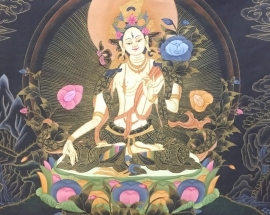 But liberation is possible only in the human realm. 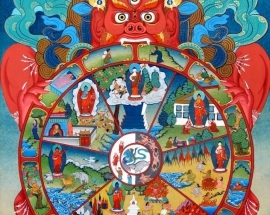 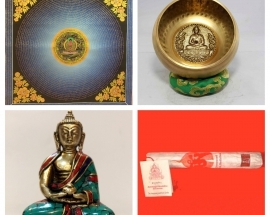 From there, those who realize enlightenment find their way out of the Wheel to Nirvana.